This stunning antique inspired ceiling light is just beautiful. 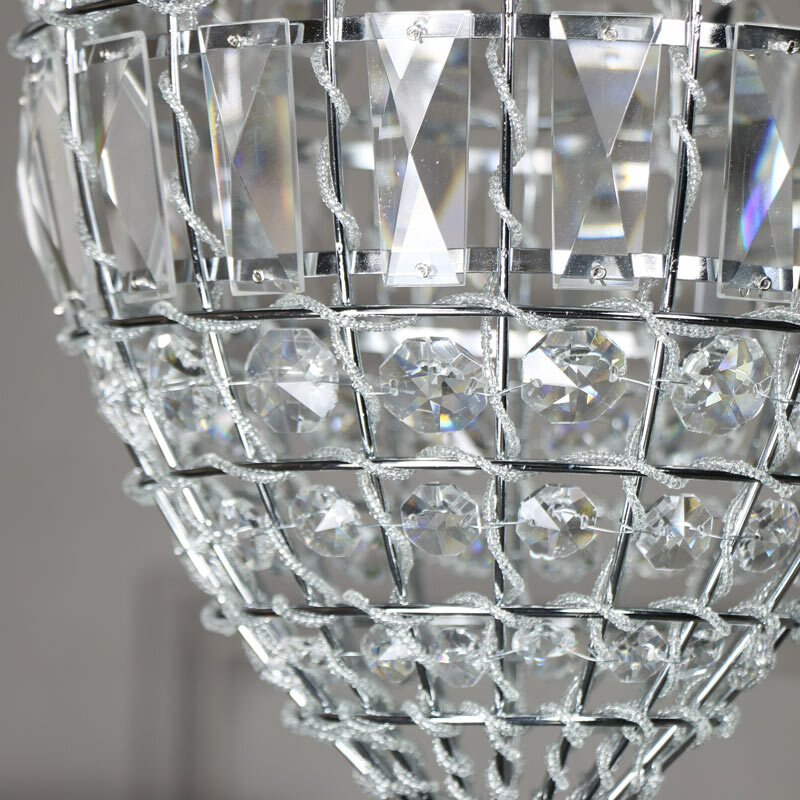 Multi faceted design that will add a look of luxury to your living room or hallway. 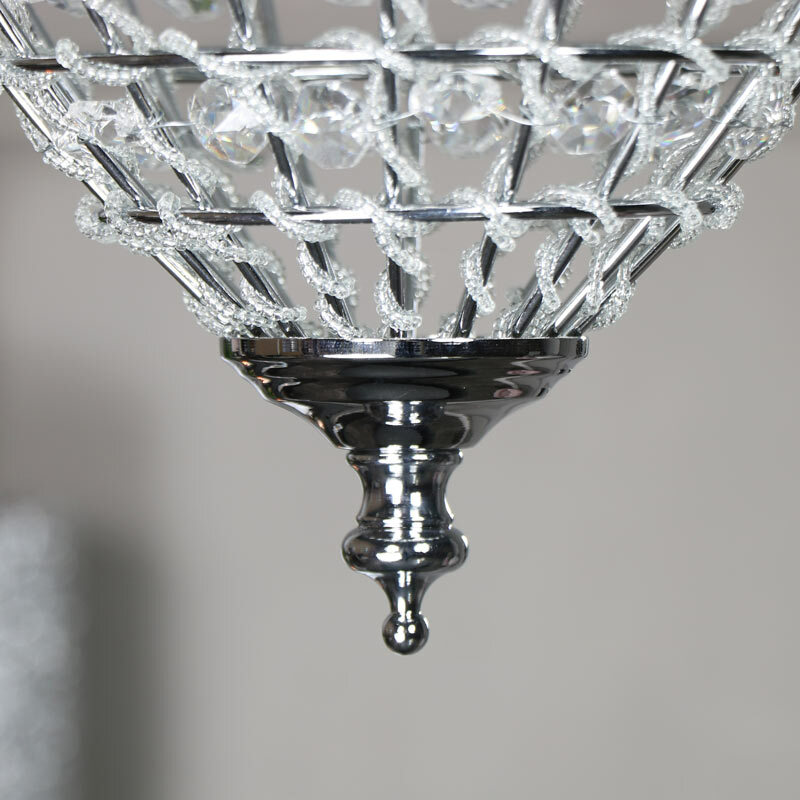 Cut glass decorations suspended in a silver frame with silver chain and ceiling rose. This will look fantastic used on its own or as a pair for rooms with more than one fitting. A stunning look for both modern and tradtitional interiors. This stunning antique inspired ceiling light is just beautiful. 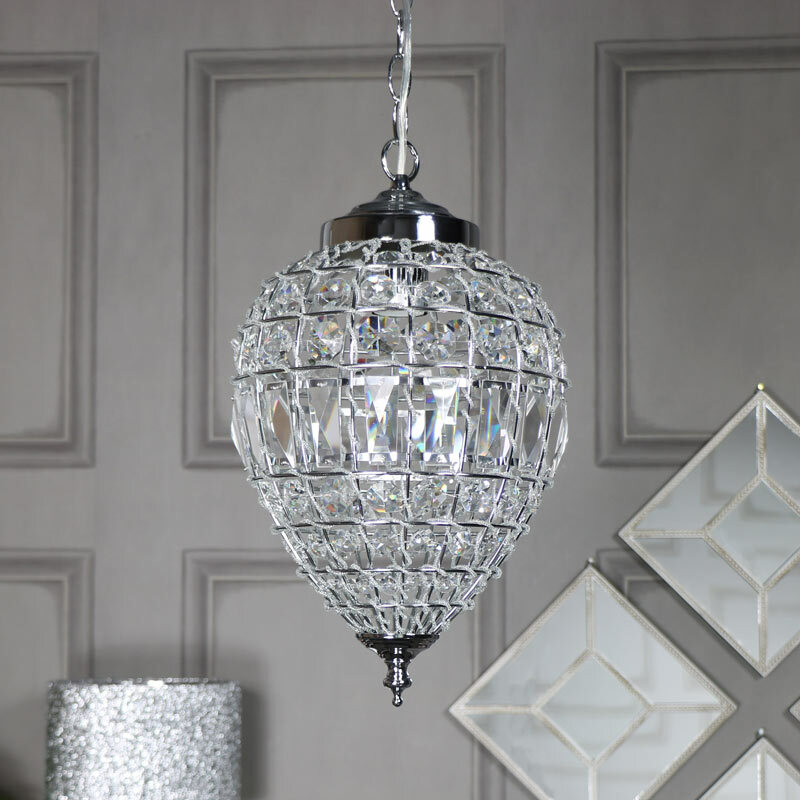 Multi faceted design that will add a look of luxury to your living room or hallway. Cut glass decorations suspended in a silver frame with silver chain and ceiling rose. This will look fantastic used on its own or as a pair for rooms with more than one fitting. A stunning look for both modern and tradtitional interiors. Silver metal frame with cut glass decorations. 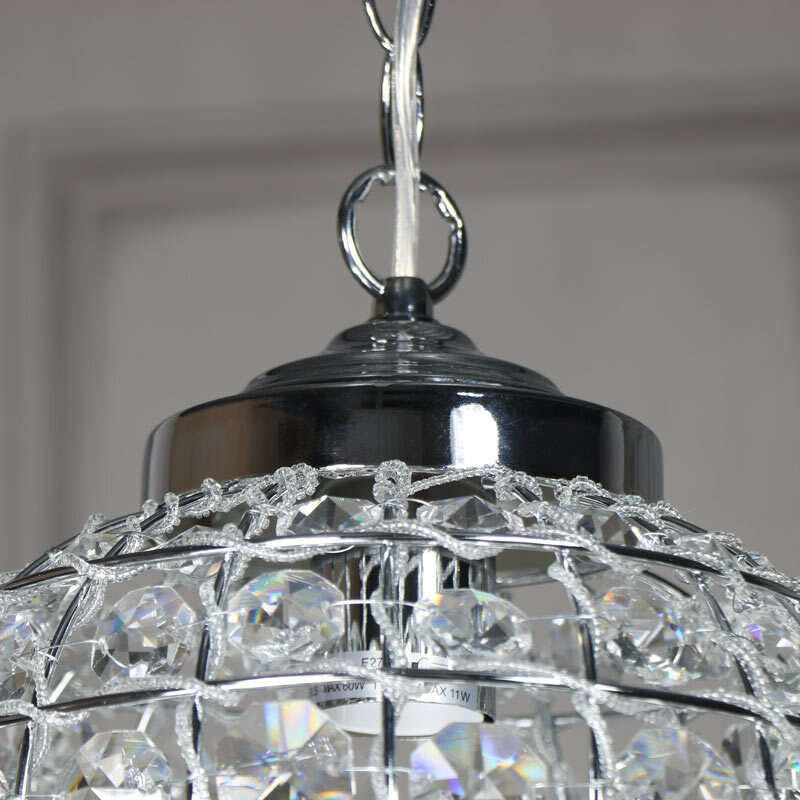 This light fitting is a great addition to our range of lighting.